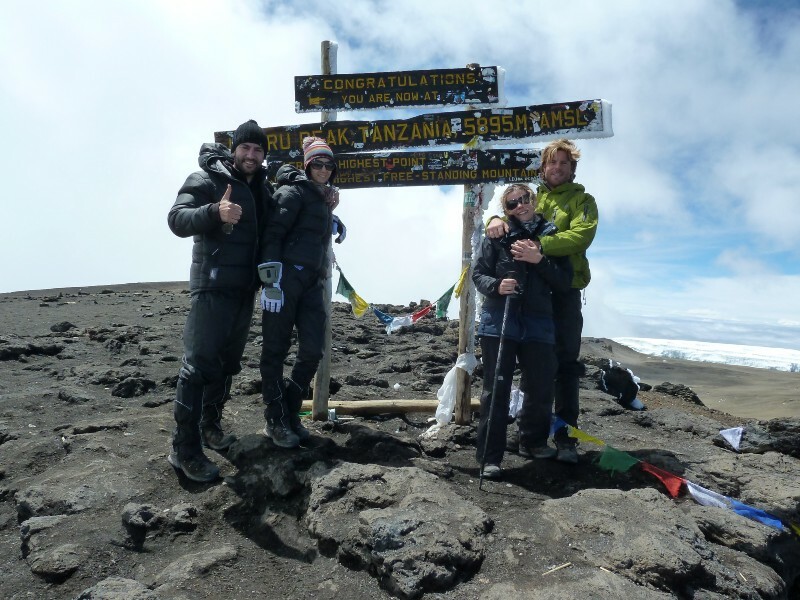 In 2011, I managed to convince my wife Alejandra and a couple of friends to join me on my climb up Kilimanjaro. After Mont Blanc I have to admit I was pretty confident. I even made the mistake of thinking I was naturally good at coping at higher altitudes. Oh how I was wrong. I always do a bit of fitness here and there when not ‘training’ and before Kilimanjaro I thought a few bike rides and runs a couple of times a week would be sufficient training. The wife and I bought all the gear we required (albeit no down insulating jackets as I thought layering without down was the secret — got that one wrong also), got our immunisations and in October 2011 we headed off to Nairobi, Kenya with another short hop down to Kilimanjaro Airport where we met our friends Thomas and Michelle. We met our local guides (organised through a UK guiding company) and checked into our (read: the only) hotel in Arusha, a small town near Kilimanjaro National Park. After going over the week itinerary and checking gear, we packed our equipment and enjoyed our last night in civilization before heading off early the next day. Arriving in October, we knew we were coming in the wrong season and it could be a bit wet but hoped luck would be on our side. A stop for lunch on day two. The rain hadn’t dampened our moods just yet. Living the dream? 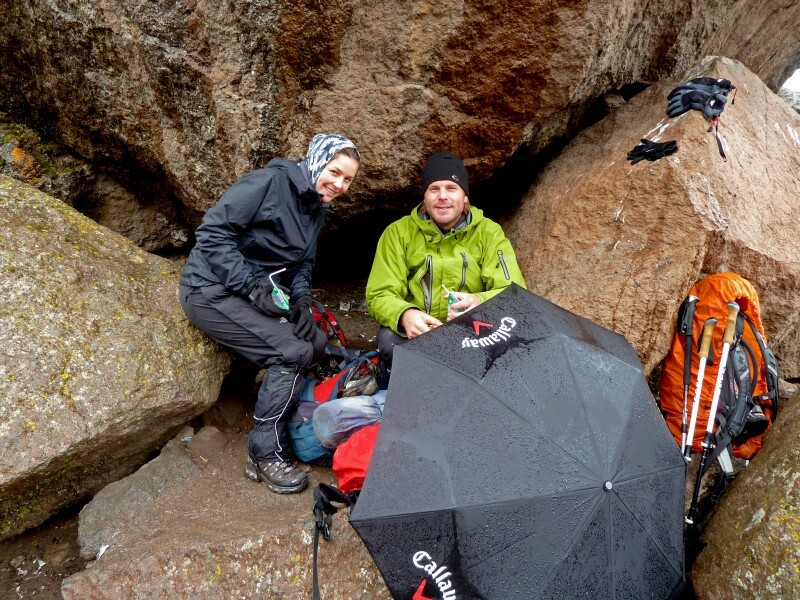 Something in the back of my mind told me to bring an umbrella on this trip, not normal mountain climbing gear but probably my most important piece of kit on Kili. The mountain was quiet, the camp sites empty (apart from the rats crawling under our tents). The first few days were innocent enough and there was still an element of excitement. This quickly wore off as we trudged through mud and pouring rain from the lush jungle, then the alpine shrub, to the dirt and rock and finally the ice near the top. 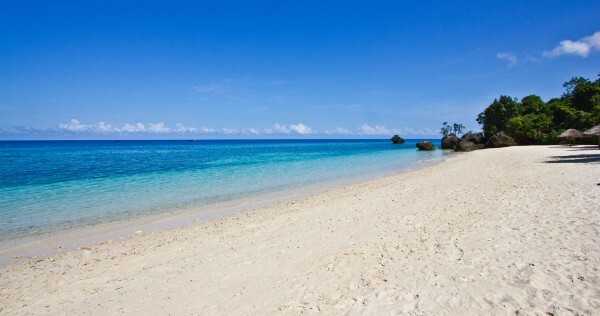 Due to our rushed acclimatisation schedule we all got headaches everyday. 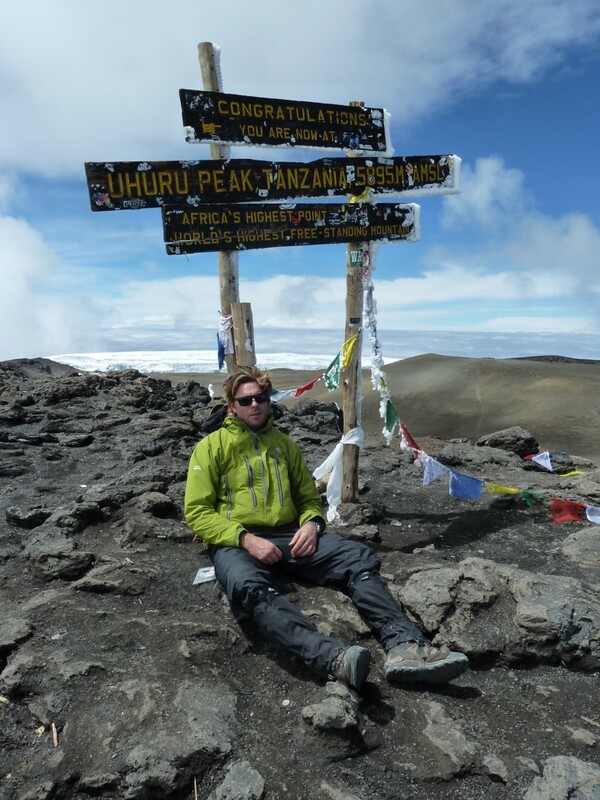 Thomas made the wise decision to take some Diamox (diuretic which helps the body acclimatise to higher altitudes) which alleviated some of his symptoms. With all my knowledge from the one mountain I had climbed before I was dead against Diamox and believed we could and should acclimatise naturally. Each morning as Alejandra woke from her slumber her face was swollen, the higher we got, the more liquid seemed to fill into her face. 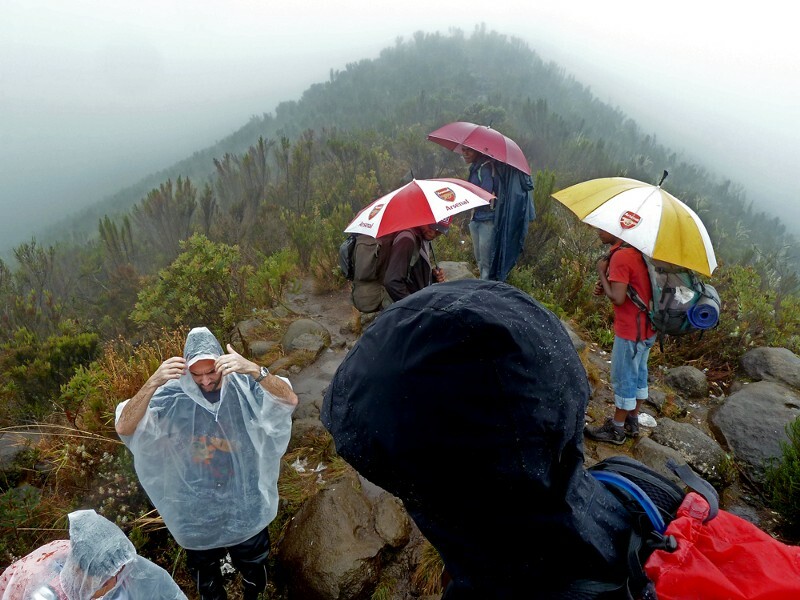 By the time of summit morning at around 4600m Alejandra was unrecognisable. It looked serious but we were told by our guides who had summited over 100 times that she would be fine. Although trying to take command and insist Alejandra and I turn around, she declined my proposal and decided to press on that summit morning and get to the top. I was a little worried for her but also impressed with her stubborn will. We started out on Summit day quite well, we all left together. Thomas and Michelle took the lead with their guide and got a head of us fairly quickly. Alejandra and I pressed on and about half way through the day I noticed I was getting unusually out of breath and puffed. I had to keep taking breaks to catch my breath and gather myself. Alejandra seemed fine, the swelling in her face had all but disappeared (which happened every day a few hours after waking up and moving around) and she was powering up slow and steady. After one of my breaks I started again but couldn’t manage to walk in a straight line, I felt drunk, my head was pounding, I couldn’t get enough air and Alejandra behind me could see something was wrong. We made it up the last steep bit of scree to a location named Stella Point. As Alejandra and our guide put on their last layers of clothing, I looked to the summit which was around 150 vertical meters away knowing that I had pretty bad altitude sickness and it was time to turn around despite only being about 30 minutes from the summit. Alejandra and I were both concerned and thinking back to Chris on Mont Blanc I told my guide that we were done. Better safe than sorry. I have to admit that although I was prepared to turn around I was also concerned what Thomas and Michelle would think of me — the experienced Mountain climber- not being able to summit a mountain they both did. I accepted that I’d prefer to live with a bit of shame than not live at all. My guide checked my blood oxygen levels with a little device called a Pulse Oximeter and it reported my oxygen saturation as 74%. My normal sea level reading is around 95% and although it is not a completely reliable indication of how someone is faring at altitude it seemed surprisingly low for myself. Our guide said we could push on that final 150 vertical meters and then descend quickly. It seemed a bit reckless but we decided to do it. I summited Mt Kilimanjaro (5895m — the highest point of the African Continent) not so gracefully around 12:30 on the 17th of October 2011. Alejandra and I met Thomas and Michelle who were already at the summit. I fell onto the ground and rested against the famous sign on the top of Africa with my head still thumping. The others took photos and had a look around. I remember none of this. I do not remember this, good poker face though. The descent was difficult. I practically tumbled and fell back down to camp vomiting every few steps. My headache was pounding. We rested at camp for an hour before continuing our descent. 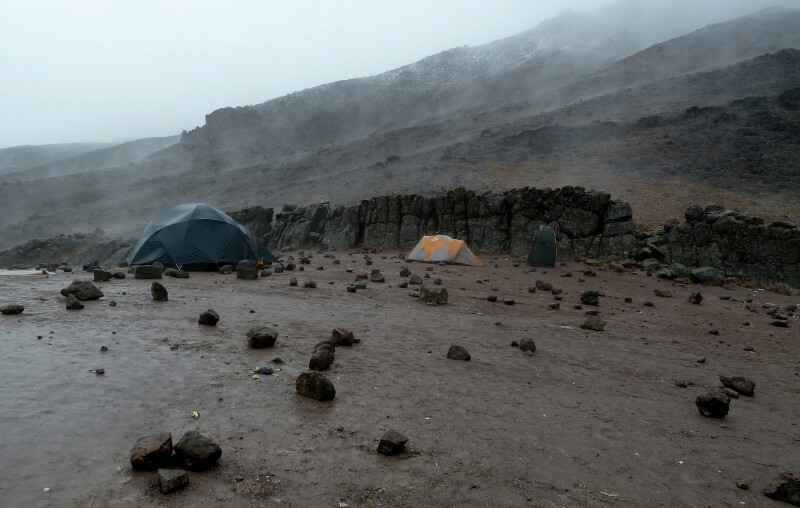 We continued to trek well into the night when we stopped at our final camp on Kilimanjaro. We woke the next morning at a much lower altitude, somewhere around 3600m and we all felt better apart from Alejandra, whose face had swollen up again, the worst it had ever been. There was not much to do other than pack up and keep moving down. It was time to get off this muddy rock. 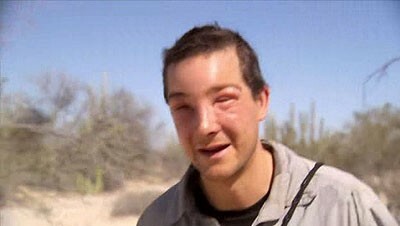 I am not authorised to put the picture of Alejandra’s swollen face on here so here is a picture of Bear Grylls after being stung in the face by a bee. Alejandra looked something like this. We had a long trek out to a small town outside of the national park where we located our bus waiting for us which took us back to our hotel in Arusha. It was probably the longest shower I’d ever had. The dirt never stopped washing off. 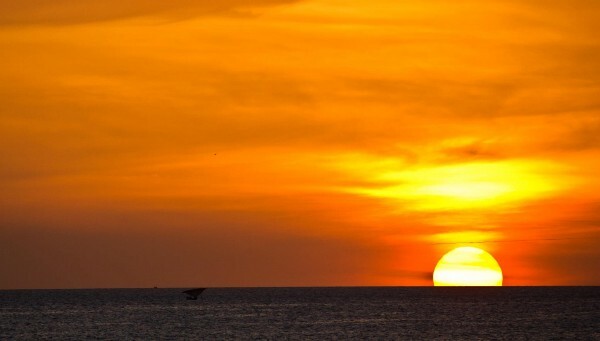 We spent the next couple of days resting and relaxing in the area along with a nice Safari. 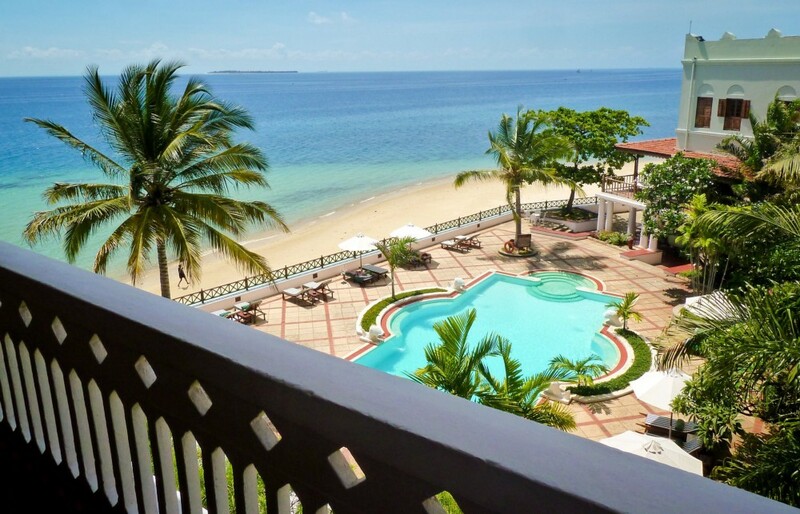 We then all flew to Zanzibar for a relaxing few days in a posh beach side hotel in the warm sun where we could rejuvenate before we headed back up to the UK. I did not enjoy this mountain in the slightest. Unfortunately I chose the wrong place to introduce Alejandra to ‘Mountain life’ and camping as she now refuses to camp ever again. I think some camping in the Alps in summer time might change her tune a little. Fingers crossed. After returning to the UK I did some research and established that Alejandra was suffering from High Altitude Peripheral Edema, a third type of Altitude sickness I was unaware of. The Peripheral Edema causes a person’s extremities to swell with liquid, usually hands, feet and face. Later on in my adventures I would speak to people who had also experienced this condition. Although not as dangerous as HACE (High Altitude Cerebral Edema) and HAPE (High Altitude Pulmonary Edema), it is a sign that it is time to turn around. This entry was posted in Kilimanjaro 5895m and tagged africa, Climbing, HACE, kilimanjaro, seven summits, tanzania, trekking, zanzibar.